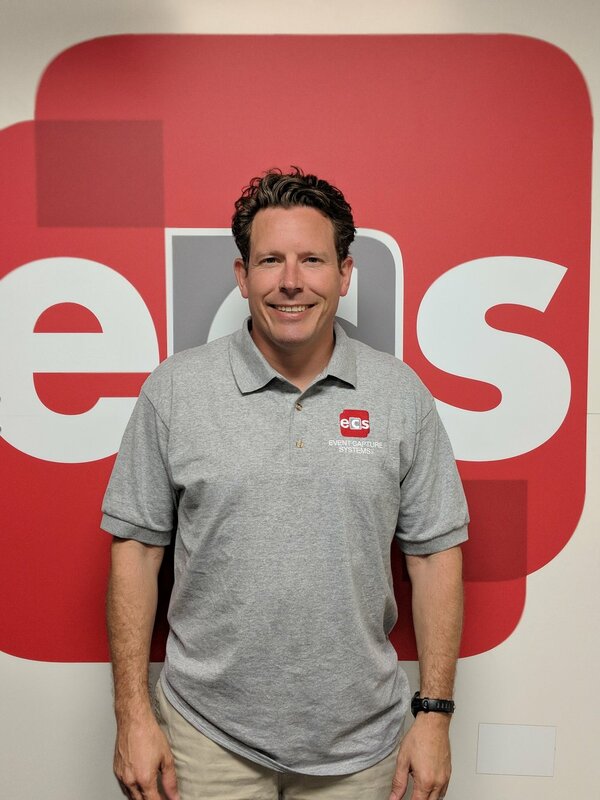 Brian Mock leads Event Capture Systems with the same fresh enthusiasm from his days as a “camera boy” at the dawn of the event capture industry in the mid-1990s. Along with his business partner, John Larkin, Brian performed the hard work of service technicians, installing, optimizing, and maintaining equipment, along with providing client support the largest paper mills in North America. From their earliest days working together, they forged a partnership based on certain values: flexibility, responsiveness, and a traditional commitment to outwork their competitors. In addition to his executive role in setting the strategic course of the company, Brian leads all aspect of our work that touches clients, from business development and marketing to project management, installation, and client service. To raise the bar in client service excellence each year, Brian places a heavy focus on teambuilding at ECS. He builds the team with subject matter experts within the functional areas of the company, as most leaders do, but he believes that what sets this team apart is the emphasis on the unteachable qualities that ECS employees bring to bear for the industries they serve—that same flexibility, responsiveness, and commitment to working until the job is done, and done right, that he and John brought together all those years ago.